Day 12: What is a R.E.N.E.W.E.D. T.E.A.C.H.E.R.? Over the summer, I listened to an audio-book titled, “Mindset: The New Psychology of Success,” by Carol Dweck. Have you heard of it? If not, I highly recommend it to anyone even if you are not an educator. It’s transformative! One’s mindset impacts every aspect of his or her life including, but not limited to relationships, business, parenting, and yep, you guessed it, schools. According to mindsetonline, “Mindsets are beliefs—beliefs about yourself and your most basic qualities.” It is not an attribute of a person. It is a way of thinking about particular things. 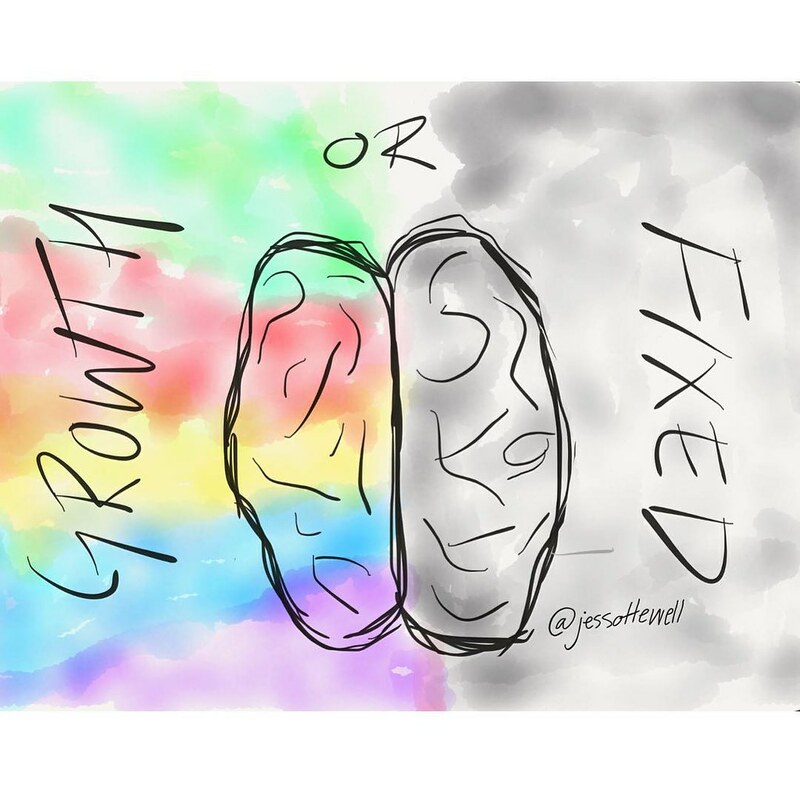 According to Dweck, and her decades of research on success and achievement, there are two type of mindsets: Fixed and Growth. People with fixed mindsets believe the way things are, and feel they can never change regardless of what they do or not. They believe their success, or lack there of, is innate. On the other hand, people with growth mindsets believe that hard work, effort, and dedication can improve any circumstances. They believe their individual qualities can be improved and developed upon over time. I am sure you can guess which mindset I support and try to embrace, and which mindset a R.E.N.E.W.E.D. T.E.A.C.H.E.R. should embrace. In many of my posts, I ask a variation of this question, “How can you expect something from your students that you do not practice yourself?” This is the main reason why we should make embracing a growth mindset a habit. We all want our scholars to work hard, stay committed to tasks, persevere and overcome academic and social barriers, and we also want them to grow in these areas. Additionally, we want them to believe in themselves enough to feel they can be successful at whatever it is they choose to do. If you don’t want any of this for ALL of your students, you may be in the wrong profession. But if you do want this for ALL of your students, we need to make a pact. Can we all agree that it is necessary for us as educators to also work hard, stay committed to tasks, persevere and overcome our students’ academic and social barriers, and continue to learn and grow within our profession? Furthermore, can we also agree that it is important for us to consistently believe in ourselves enough to know we are 100% capable of teaching, reaching, loving, supporting, and growing each student in our classroom in order to help bring their hopes and dreams of success to fruition? I’m sure you agree, friends. But whether you agree or not, I still must wonder how we can expect our students to embrace something if we do not do it ourselves, first? Maybe you buy-in to the theory of the growth mindset, maybe you don’t. Let’s just say you’re interested in learning how to incorporate the idea into your classroom. I first and foremost believe that you cannot influence change and transform people, let alone children, without being a model of it yourself. My mindset is fixed in this regard. LOL! Therefore, you need to discover what mindset you embrace first, and work from there. If you have growth mindset, there are plenty of resources to use to begin the journey of helping all of your students embrace growth mindsets. If you lean more towards fixed ideas and embrace a fixed mindset, you are going to have to do some personal and perhaps professional development in this area, especially if you plan to guide your scholars towards believing in growth mindsets. And you know what? That’s okay. According to Dweck, most people may not be consciously aware of their mindset. “Individuals may not necessarily be aware of their own mindset, but their mindset can still be discerned based on their behavior. It is especially evident in their reaction to failure. Fixed-mindset individuals dread failure because it is a negative statement on their basic abilities, while growth mindset individuals don’t mind or fear failure as much because they realize their performance can be improved and learning comes from failure.” (University of Hull). If you are interested in learning what your mindset is, click here to complete this online assessment from MindsetOnline.com. While you complete the assessment, remember Day 10 and to “Keep it one hunnit” by being “Audaciously Authentic” with your answers. Whether you habitually embrace a fixed mindset or growth mindset, congratulations! You have taken the first step to helping your students embrace this idea of mindsets! Now is the best time to decide if what you currently do in your classroom aligns with either of these mindsets, and to decide if you want it to stay the same or change. If you decide to remain consistent in what you currently do or change because things are not working how you like regarding your mindset, I would highly recommend reading or listening to Dweck’s book as soon as possible to help you really understand what Dweck’s research means. What you don’t want to do is introduce the idea in haphazard ways and risk not making an impact in your classroom. Once you are comfortable with her research, introduce the idea to your students. Talk to them about what they think it means. Depending on their age, have them complete a mindset assessment to discover what your students think about themselves, and use this information when planning lessons and activities. I have done these surveys in my classrooms, and I have learned a plethora of information about my students including what they believe about themselves and what they think is possible to achieve or not. I kid you not, when things get challenging, I am able to intervene many times before a meltdown or a “walk-out-of-the-room-and-slam-the-door-with-frustration-act” occurs with certain students simply based on what I remember from their mindset assessments. Here are five additional resources to get you started. Simply click the links. As we continue to learn and grow together, I CAUTION you not to fall into the trap of the fake growth mindset, the overzealous and the overpopularized use of growth mindset as I almost did before watching these videos and reading an article from Edweek.org titled, “Misinterpreting the Growth Mindset: Why We’re Doing Students a Disservice.” AND I CHALLENGE you to keep learning about mindsets and be willing to make a habit of embracing a growth mindset. As teacher Christina Gil said, “Pushing our students to adopt a growth mindset is an easy call. Adopting one ourselves is harder,” (Edutopia.org – “Teachers Need a Growth Mindset Too”). Before you click away, share your thoughts about this idea of mindsets or your assessment results in the comments. I can’t wait to read your responses. Now get out there form a new habit. « Day 11: What is a R.E.N.E.W.E.D T.E.A.C.H.E.R. ?